Jim Lewis and Jim Springer were identical twins raised apart from the age of 4 weeks. When the twins were finally reunited at the age of 39 in 1979, they discovered they both suffered from tension headaches, were prone to nail biting, smoked Salem cigarettes, drove the same type of car and even vacationed at the same beach in Florida. Researchers at the University of Minnesota, led by Thomas Bouchard, launched the landmark study in 1979. 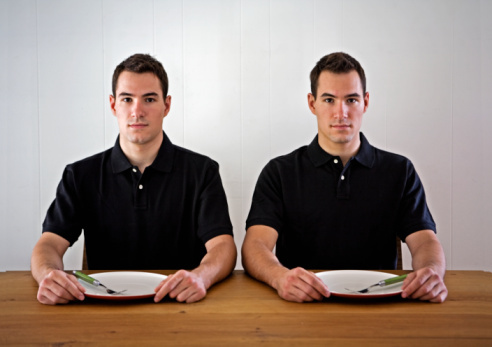 Over the course of 20 years, they studied 137 pairs of twins -- 81 pairs of identical twins (twins who developed from one egg that split in two), and 56 pairs of fraternal twins (twins who developed from two eggs fertilized by two different sperm). Reporter Daniel Goleman wrote in The New York Times at the time that genetic makeup was more influential on personality than child rearing -- a finding he said would launch "fierce debate." Moreover, a study in 1990 found that genetics account for 50 percent of the religiosity among the population -- in other words, both identical twins raised apart were more likely to be religious or to be not religious, compared with unrelated individuals. The Minnesota study gave scientists a new understanding of the role of genes and environment on human development, Segal said. In the future, twin studies will aim to link specific genes to specific behaviors, as well as investigate epigenetics -- what turns genes on or off, she said. Segal, who wrote a book about the study called "Born Together -- Reared Apart: The Landmark Minnesota Twins Study" (Harvard University Press, 2012), is now doing a prospective study of Chinese twins raised apart, often in different countries, by adoptive families. Follow Tanya Lewis on Twitter and Google+. Follow us @livescience,Facebook & Google+. Original article on Live Science.